Musick the Washingtons Knew - April 28, 2018 ~ The History Girl! The Practitioners of Musick will return to Washington Crossing Historic Park in Pennsylvania on Saturday, April 28 at 7:00 pm in the park’s Visitor Center auditorium. Founded in 1999, the Practitioners of Musick survey the music of 17th- and 18th-century Great Britain, Ireland and America. Their performance will feature music based upon the surviving inventory of printed music owned by various members of the Washington/Custis family and music that was popular among 18th-century Virginia playhouses and concert rooms. Also performing that night will be the Germantown Country Dancers. The Practitioners of Musick features John Burkhalter on recorder and Donovan Klotzbeacher on harpsichord. 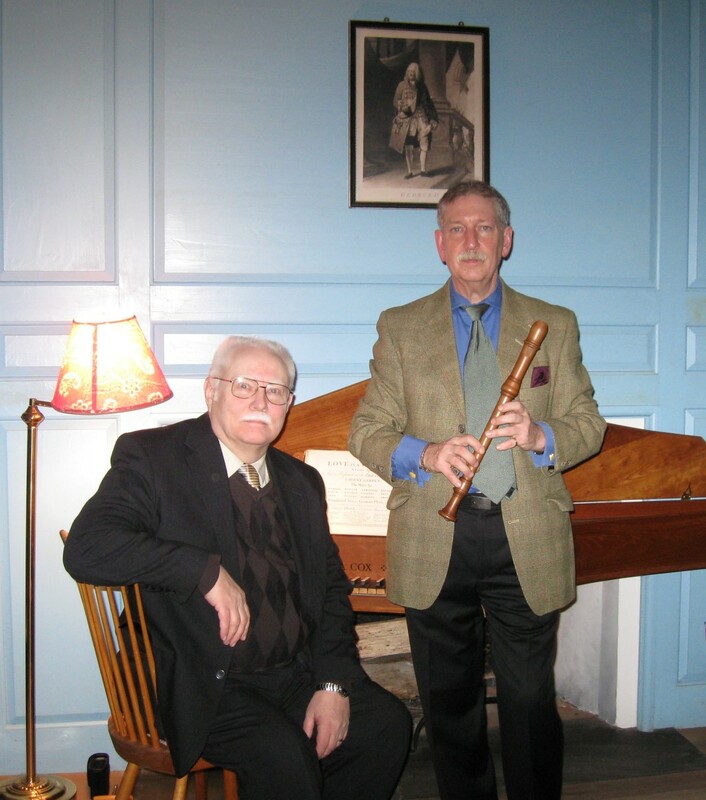 The duo has performed at numerous historic sites as well as libraries, museums, and universities throughout the East Coast. Tickets are $25 and are available at the park’s Visitor Center, located at 1112 River Road in Washington Crossing, PA.
Washington Crossing Park is located at the intersection of Routes 32 and 532 in Washington Crossing, Pennsylvania. This event is sponsored by the Friends of Washington Crossing Park in partnership with the Pennsylvania Historical and Museum Commission. Individuals with disabilities who need special assistance or accommodations to participate in this event should call 215-493-4076. To stay up-to-date on what is happening in Washington Crossing Historic Park, visit www.washingtoncrossingpark.org. While there, sign up for the park’s free monthly e-newsletter.